There is not much to say is there until nex year. It arrived. In good shape with ice keep it water. Ask me again next year. We needed something else to go around our lake and boy I am glad that we chose this type of tree. We dont have to worry about watering it because it pulls all the moisture it needs from the lake since we planted it close to the edge. River Birch Tree - Betula Nigra. River Birch got its name because of how common it was to find them near river banks. Despite it growing in that terrain in the wild it adapts well to other landscapes and can survive almost in any state in the United States. It's beloved for its quick growth, unique and exciting curling bark, its tolerance to water and drought as well as its large spreading limbs. In 2002 the Municipal Arborists named the River Birch Tree the Urban Tree of the Year. 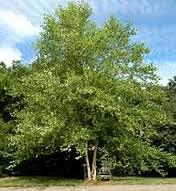 River Birch Tree makes a perfect shade tree but is often considered an ornamental tree as well. During the early years of the tree it will provide spotted light shade, but as it matures, it will be able to provide moderate shade. Its appeal is its interesting compliment on any scenery. As you observe this trees life, you will notice that it grows around 13 to 24 inches a year. The Betula Nigra loves the sunlight so when choosing a home for it find a spot that gets at minimum 6 hours of sunlight. If it has to, it can tolerate some shade. The River Birch shows the most success when its grown in loamy, sandy, acidic, well-drained soils and clay soils. It can deal with a conservative amount of flooding and even a limited amount of drought. When the temperatures are hot, it will appreciate it if you provide additional watering. The leaves are somewhat triangular and are typically a deep green color. The foliage is enjoyed by whitetail deer and other browsing animals. Songbirds love the seeds that the trees produce. As the tree matures, the bark will become a cinnamon brown color that will curl and peel off in time. River Birch Trees are also known as the most borer resistant birch available.